Exhibition organised by Enrico Mascelloni, Curator of Rocca di Umbertide and Gabriele Violini, Cultural Officer of Umbertide. The exhuberant diversity of form of Liliane Lijn’s work have both excited and perplexed the art world since she burst on to London’s artscene in the mid- 1960s. One of the pioneers of the transformation of scientific thought into Art, Liliane Lijn traverses the regions of light, sound, movement, performance, text, video and object. Her explorations have taken myriad different forms, from the early light works and Poem Machines of the 1960s to artist books such as Crossing Map (1983), her performing Goddesses (exhibited at the 1986 Venice Biennale), large-scale public sculptures, such as the controversial Earth Sea Light Koan(1997) on the Isle of Wight and the intimacy and power of her work. 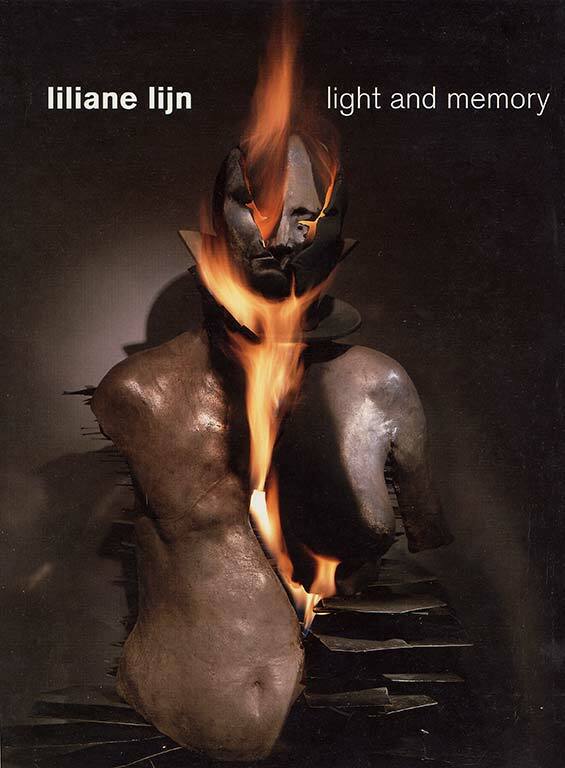 This book, which accompanies the exhibition Liliane Lijn : Light and Memory showing at a 13th-century fortress in Umbertide, Italy, presents recent pieces by the artist set against her earlier work, showing the continuity in her rich and varied oeuvre. The dinstinguished curators and writers Hilary Spurling, Enrico Mascelloni, and Lara-Vinca Masini have each contributed essays exploring the different facets of Lijn’s work whereas the unusual email dialogue between the artist and the critic Guy Brett is an intimate and frank exploration of her ideas and motives. Together, the book and the exhibition it accompanies, explore the profound interconnections between mind and body, past and present, inside and outside through the work of an innovative and highly individual artist.